Congratulations on your baby! Whether this is your first or fifth pregnancy, expecting a baby is sweet and special time and we would love to capture this moment in your life. We generally recommend that we photograph your maternity session sometime between 30 and 36 weeks, depending on how you’re feeling. If you’re barely showing by your 6th month, we’ll want to do your session when you’re a little closer to the end. However, if you’re like me (having a nearly 11 pound baby) and you feel like you’re showing moments after you find out your pregnant, we’ll want to photograph your maternity session sooner than later. It all depends on you and how you’re feeling, so give us a call and we’ll figure out what works best for you. Maternity sessions typically last about an hour are usually done on location. 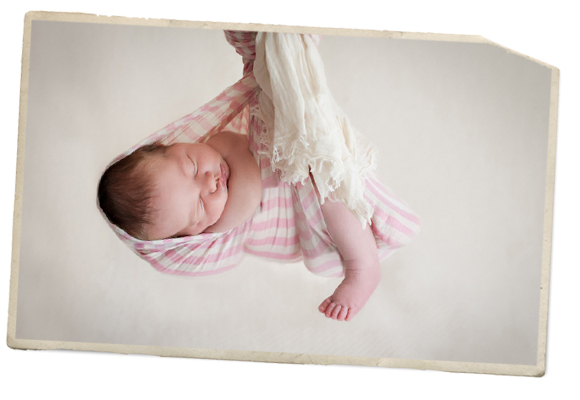 we can be sure to photograph your newborn when they are less than two weeks new. At this age, most babies sleep through the majority of the session and can still fit in all of our fun props! Many of the poses we do require baby to be sleeping, so a full tummy and a warm environment are ideal for capturing those sweet sleepy baby photos. Dress comfortably as we keep it warm and use a space heater next to baby to keep him or her nice and cozy while we work. If your baby happens to be a night owl, that’s fantastic (for us… we’re sorry for your sake!) but if the little one decides to get a full nights’ rest (yay for you! ), try to keep him or her awake before the session. A good morning bath will help stimulate baby and keep him or her up and happy before a good long nap in front of my camera. Newborn sessions generally last 3-4 hours with lots of time built in for feeding and cuddling. These sessions can be done in your home (depending on your location) or mine. We do offer a $100 credit towards your maternity session image disc when you book your maternity and newborn session at the same time. We’re also delighted to offer gift certificates so you can include it on your baby registry!